Check out special offers for limited time deals. Free shipping with $39 or more. Create an account to receive 5% in reward points. Throughout my career I have always tried to do a lot of the little things right consistently, long before “marginal gains” where talked about so extensively around cycling and sports science! In my 18-year-long career I saw a lot of change in sports science and sports nutrition. I studied for an Applied Sports Science degree, so it’s always been an interest of mine – I observed fads coming and going, but the principles I knew and believed in stayed the same. I recognised early on in my career the impact nutrition could make on my performance, especially when it came to recovery and making sure I could get up and do it all again the next day, day after day. Training is all about pushing your body and finding new limits to make sure you can meet your goals or maybe even exceed them. It’s that simple, really. Whether you’re in a velodrome working towards your next gold medal, in a gym trying to improve your body composition, or running around a sports pitch somewhere, training is where all the hard work is done. It’s that training stress that drives your bodies training response to help you cope with that load better the next time round. You need gradual progression to keep pushing yourself on. During your rest periods is when your body makes the changes you are striving for, and the right nutrition gives you the building blocks to do that. In all honesty, that is what got me to 2012. I think the four years leading up to London were without doubt the hardest because I knew, due to my age, that I was fighting a slight decline in being able to adapt to training. You become smarter with how you recover and everything you do to keep yourself fit and ready. Nutrition was my secret weapon. The goal is always to provide the building blocks needed for the body to adapt to your training. Without those building blocks, your body will break down its own muscle tissue to provide the energy for recovery. All the building blocks for lean muscle tissue come from protein. It’s made up of amino acids – the building blocks for lean muscle mass. The rule here is simple: the sooner protein is consumed post-exercise, the sooner the muscles can recover and adapt to the stress of training. During my career, training up to three times a day meant I needed to consume protein right after every session to make sure I could meet my overall daily target. Your body can only absorb and make use of so much protein at any one time, so just sitting down to a huge steak every meal was unfortunately never the answer! Of course, manipulating carbohydrate intake has become a key weapon that today’s road cyclists use to make sure they are as powerful whilst being as light as possible. For sprint performance on the track though, that was never such an issue. Eating enough to restore energy levels and make sure you were feeling good going into your next session was! We did very little low intensity work; the goal was always about power, whether that was rep max in the gym or watts measured on the bike. That meant that carbohydrate was king when it came to having enough energy for what we were trying to do in terms of performance, it’s the only fuel that can give you the energy you need quickly enough. You store carbohydrate in your body as either muscle or liver glycogen, and burn through those stores pretty quickly when you’re doing high intensity work, especially when doing a lot of intervals. Replenishing this as soon as possible afterwards was key, especially when you were doing subsequent days or multiple sessions within one day. Without restoring carbohydrate adequately you simply just don’t have it to give in your next session. REGO Rapid Recovery was therefore a really crucial product for me. It gave me exactly what I needed immediately after training; protein that would be digested quickly to support muscle rebuilding, carbohydrate to restore my energy levels, electrolytes to help rehydration and vitamins and minerals to support immune function and help me stay healthy. 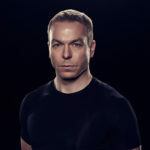 Sir Chris Hoy has a B.Sc. (Hons.) in Applied Sports Science from the University of Edinburgh and is an Elite Sports Consultant for sports nutrition company Science in Sport (SiS): www.scienceinsport.com. Protein is an often overlooked but key element of an endurance athletes nutrition strategy. Dr James Morton (Team Sky Head of Nutrition) explains why it is so important. Loading, refueling and recovery, read our article on how to ensure you have enough energy for whatever race you take on. One of Britain's greatest ever Olympians reveals what fuelled him to his many successes. Science in Sport® is a leading sports nutrition company that develops, manufactures, and markets innovative sports supplements and nutrition products for use by professional athletes and sports enthusiasts. SiS® was founded in 1992 and is a headquartered in London, EC1N. Our manufacturing facility is in Nelson, Lancashire, and all our products are thoroughly tested & certified through the Informed-Sport programme.